First things first: let’s not confuse tarts with pies. While the pastries are certainly related, and often share flavors, they are not the same thing. Basically, their difference comes down to crust. 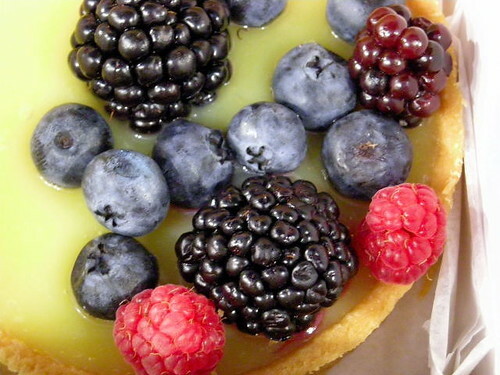 A tart generally has either shallow sides or no sides at all, and only a bottom crust (though some bakers can’t resist a little lattice or decoration on top). A tart crust also differs from pie crust. Often, a tart crust will be more “short” than pie crust–that is to say, more crumbly and rich. The ingredients include flour, unsalted butter, cold water, sometimes sugar, sometimes egg (confusing caveat: sometimes tarts employ a puff pastry type crust, too). And, tarts are baked in a pan with a removable bottom, or in pastry ring, so that they can be served unmolded; a pie is usually served right in its baking dish. For the full post and a tasty roundup of tart recipes both sweet and savory, visit Craftsy!